The Fascinating World of Forestry™ is an educational programme all about forestry, the environment, sustainable development and community development! 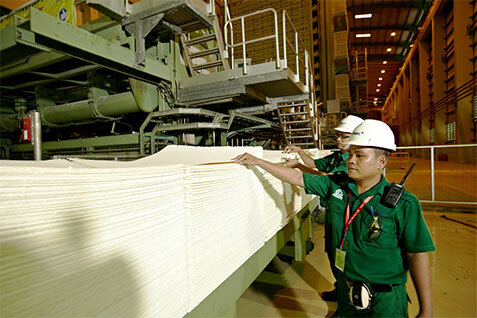 It will take you on an adventure to investigate our region’s forests and discover how paper can be made sustainably without compromising our environmental responsibilities. As a holistic programme, we have a wide spectrum of activities specially tailored for you, with every one as exciting as the last! Our Edu-Portal is an interactive learning portal which brings you up to speed on key topics of the region’s forestry industry, giving you insights on the fascinating world of forestry. To complement your online learning, our exciting field trips take you right into our facility where you get a first-hand experience of how forests and paper are sustainably managed. We can even drop by your school for engaging talks and mobile exhibitions! Begin your journey with us today. You’ll be in for a wild ride ahead! APRIL Group is a firm believer of sustainable forest management and community development. So they put two and two together and let the idea take root. What happened next was the birth of The Fascinating World of Forestry™! To find out more about APRIL Group and what they do, visit their website here.